In 2013 the writer and journalist Van Newkirk, who goes under the moniker, fivefiths tweeted, A system cannot fail those it was never built to protect. It is was tweeted in the light of the dismissal of George Zimmerman who was acquitted of the murder of Trayvon Martin. The quote is often wrongly attributed to black historian W E Dubois but there is no record he said this and people were probably confused because his Twitter title used to be W.E.B.B.I.E Du Bois. Fact-finding aside, what Newkirk captured here was not just a frustration around justice and race, but for so many professionals was a reminder of many areas of business and life that lend to inequality. For the record, I do believe we live in a time where there are abundant opportunities. The easy access to the internet has meant that entrepreneurs can form companies with very limited capital. Here in the UK with the introduction of challenger banks like Monzo, Revolut, and Starling it is easier than ever to set up an online business account, and social networks allow us to connect and partner over borders with people easier than any time in history. But let’s not get it twisted. The power and money and influence that tends to shape those who make the bigger decisions are in the hands of the few and Silicon Valley is no different than most other industries and sectors that have gone before them. Maybe we have to be open and honest and recognize that unless you come from a certain background, class grouping, gender, and ethnicity Silicon Valley is not designed for you and couldn’t give a rats arse to make room for you. I have entrepreneurs in my network, who shall remain nameless, who have clearly stated that Silicon Valley is the Whitest place they have been too. They are White for the record. They put Silicon Valley as the pinnacle of innovation and growth but are very aware it is a very elite club. And yet so many are clamoring for change within an ecosystem that was never designed to cater for those outside its narrow pattern matching environment. There is a lot of noise about diversity and inclusion in this space. Women and ethnic minority outliers have been championed and profiled as success stories. From Bozoma St John formerly at Uber to Tristan Walker founder of Walker and Sons (makers of Bevel and Form), there are few and far between. 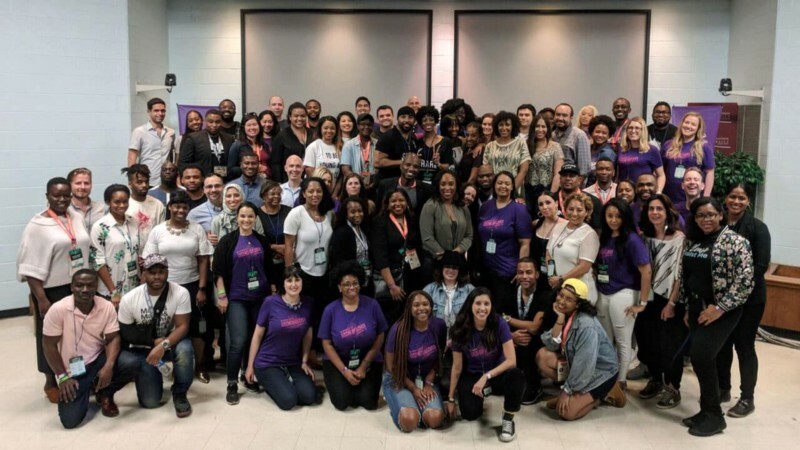 Of course, there are some movers and shakers in the investment space such as Arlan Hamilton, Troy Carter, Monique Woodward, Kwame Yao Anku, Charles Hudson, Erik Moore and Brian Dixon, to name a few. I salute these guys who are making ways, but they are a MASSIVE exception to a rule and a system that is not built for them. A cursory look at the boards and employee makeup of Facebook, Amazon, Alphabet, Apple, Uber, Snapchat and so many of the other big brands and companies coming out of Silicon Valley and the surrounding areas show that the hiring practices still are far from inclusive in terms of technical, leadership and management, yet it’s not like there isn’t the diverse talent to get into these roles. And I haven’t even started in the rampant misogyny that has driven out some leaders who have been accused of sexual misconduct in investment firms and startups in this place. You would think that in turn the companies in the industry would reflect and think about how they can do better, keeping some of the perpetrators in the background but they tend to fall over themselves to look for new opportunities for those who have shown no remorse for much of their toxic behavior. So what? Why does it make a difference? Without a shadow of a doubt, some of the largest and most successful tech companies have emerged from Silicon Valley, and even those who wouldn’t define themselves as tech (Warby Parker, Casper) have access to what is a highly desirable talent pool and finance. Venture Capital is a huge part of the success of Silicon Valley. As of 2017, some 34% of US venture capital-backed startups were funded in the Valley. That’s $23bn, with the closest competitor, is New York at $7.5bn, followed by San Jose $6.7bn and Boston on $6bn. The truth is that the few success stories, and the constant stream of tech media which reports more funding than they do profitability, will constantly put Silicon Valley as the place to be. For both talent and funding. The problem in putting Silicon Valley as the apex is that this reduces the narrative of successful tech and funded businesses to one singular story. Then incubators, accelerators, VCs and angel funds that support the tech ecosystem reflect the same kind of thinking. Producing Sequoia and YC Combinators wannabes around the globe. Often replicating the same kind of pattern matching for startup founders and VCs that in the main excludes women, people of color or in essence anyone that doesn’t fall into the straight, white male archetype that sets the tone for what successful tech companies look like. In Europe, there are some zones that look to buck that trend and see things differently. The Family in Paris is a key example of a tech ecosystem looking to learn from but not be dictated to by SV. They know that it’s somewhat less expensive to create a company in Europe and the returns, mindset, and approach to business development. Across Africa, private equity and VC is gaining a foothold in leading economies like Nigeria and South Africa as local governments want to ensure they tailor funding and talent to their nuances. Wanting to discourage brain drains and build their way of developing tech ecosystems. China has also been marching ahead. For the first time, China surpassed the US with the number of companies that had venture backing. There is no promise that just because there are other emerging spaces where tech and funding are taking prominence that the associated behaviors of toxic masculinity and pattern matching will disappear. We still have a long way to go across the board to see more representation of women founders and a more diverse boardroom for most tech companies. But I think like entrepreneurs and financiers, while it is good to learn some of the lessons from growth, financing, and marketing that have come out Silicon Valley, it would be foolhardy to expect major changes, especially around a more inclusive and diverse environment. I am happy for those who will continue to knock on the door for change, but I can’t help but think that the home of some of the most profitable companies in the world, led by some seriously maladjusted leaders, is not going to change their time anytime soon. Maybe the true revolutions are being able to build sustainable ecosystems in our backyards. For my day job, I am the Founder and CEO of Narratively Ltd and Legacy71 Ltd. I am also a board advisor for women founded companies, a charity trustee and mentor a few professionals each year.